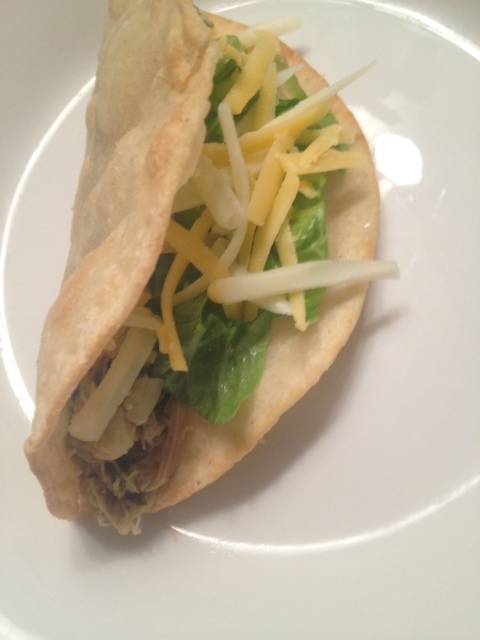 The mix of limes, cilantro, jalapeno, tomatillos and spices added to this chicken will make excellent chicken burritos, tacos, enchiladas, nachos… the possibilities are endless (and super tasty)! 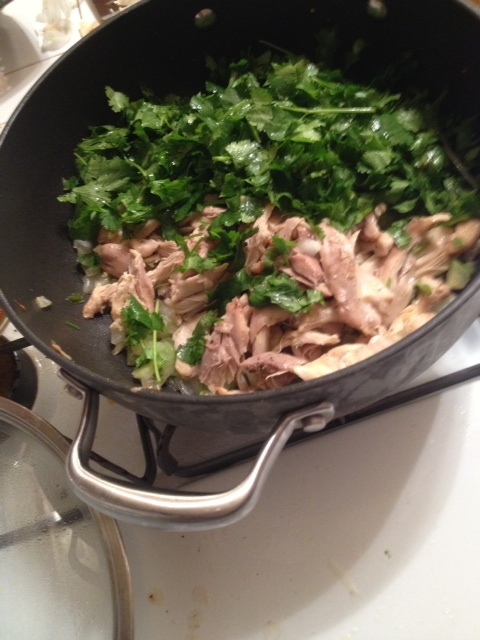 You can use one small whole chicken, or if you like specific parts, use those instead. 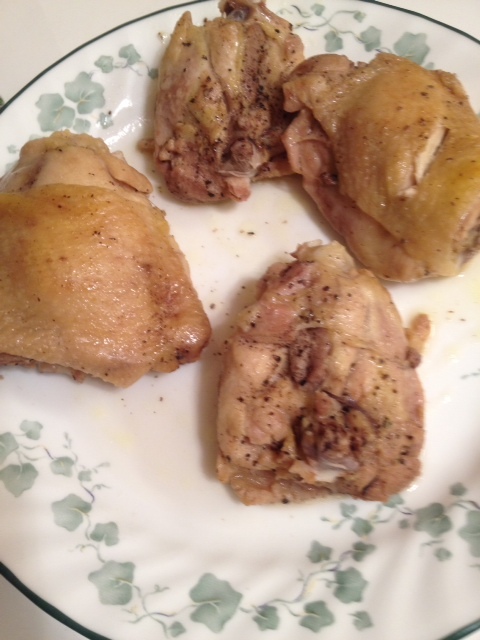 Dark meat holds the flavor very well. 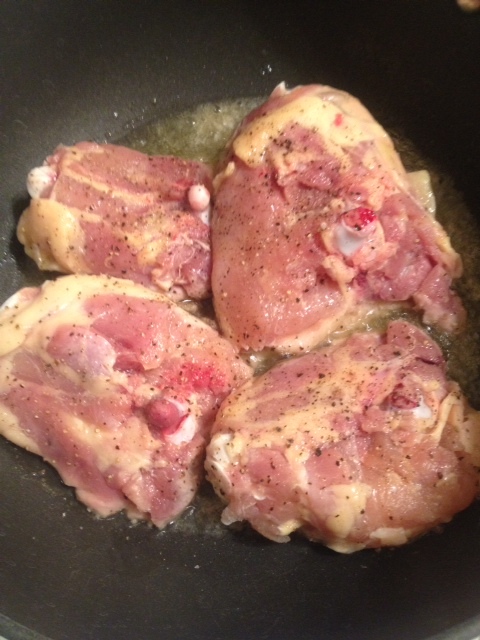 In this instance, I made a half recipe using four chicken thighs. 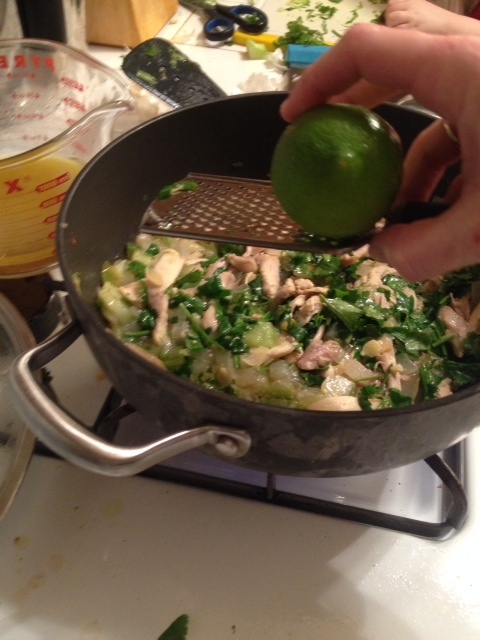 You can vary the amount of garlic, jalapeno, limes, etc., to taste. Put the chicken in a large pot and cover with water (when using smaller pieces, I like to brown the meat first, but it is not necessary). 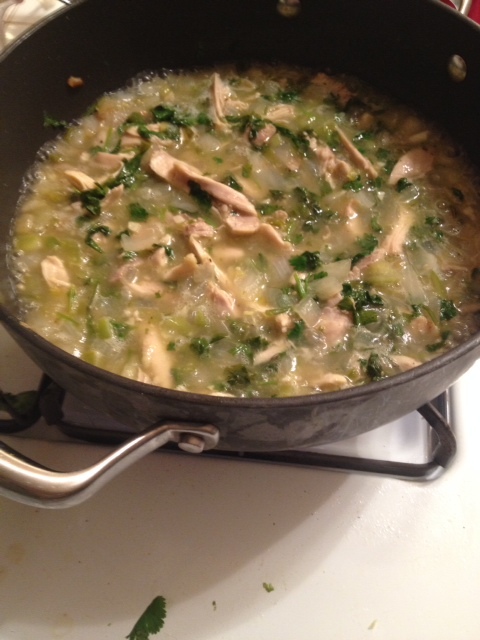 Simmer chicken until fully cooked. 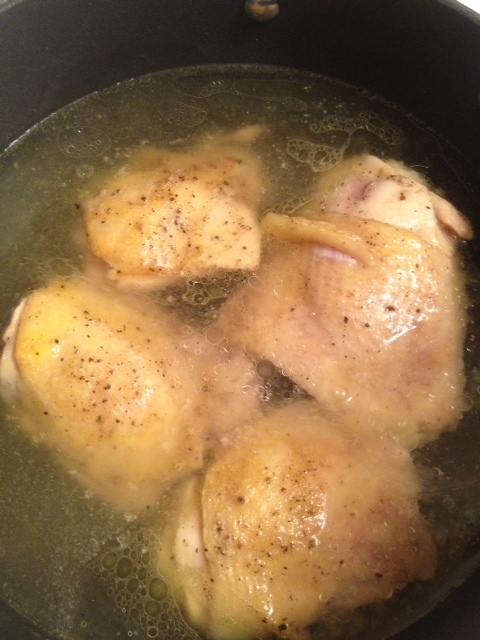 Remove chicken from water, reserving the water in the pot. Remove skins, bones, and return chicken to the boiling water (skip this step if you are using boneless, skinless meat). Put all other ingredients in the pot. Contents should be covered by water by about one inch. Cook covered on medium heat, stirring occasionally until the chicken all falls apart into shreds and the water is all absorbed. This is also a good dish to cook in a crock pot all day. 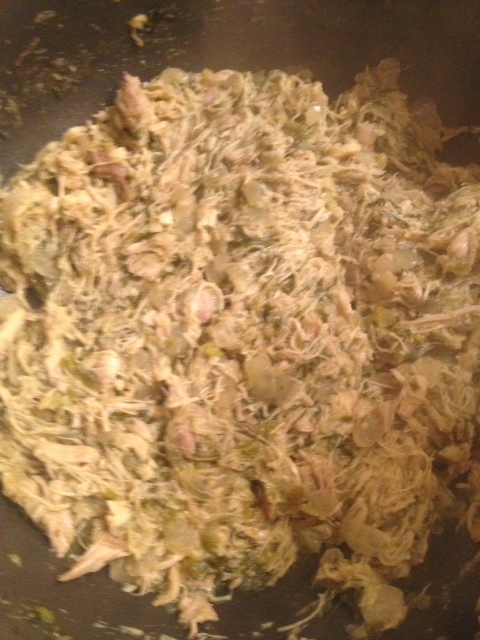 Tags: chicken for burritos, cilantro, cook, crockpot chicken burritos, food, lime, recipes, shredded chicken, tomatillos. Bookmark the permalink. Previous post ← Merry Christmas Cookies From cookplantmeditate!